Question: My son has always had issues with sleep, but now he is up all night and is refusing to nap. This lack of sleep has now caused huge hyper activity because he has to keep moving to stay awake. It's next to impossible to enjoy any activity anymore & he won't play with his toys anymore. I also have an 18 month old daughter that is the opposite and sleeps "normally", but interaction with her has become an issue because he won't let her play with me or on her own. It has gotten to the point that yelling and spanking have become a regular occurence and I want it to stop. I want to enjoy my children not resent ever having them. I have tried melatonin, which does not work, as well as letting him stay up - nothing works! We have tried sleeping beside his bed but that doesn't work either, he still has his soother and music playing to keep things as they were when he was a baby. I no longer know what to do - any advice is appreciated. 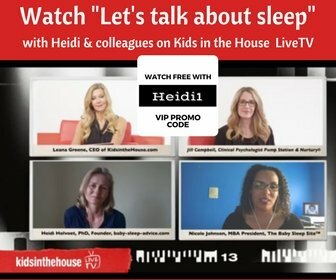 Heidi's Answer: Hi Kim, That's tough and I totally understand that his lack of sleep is affecting your whole family. You are sleep deprived as well and then it is absolutely normal to easily start yelling, even if you know that yelling nor spanking will help. 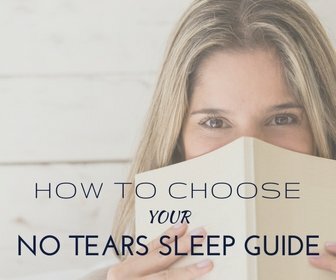 As I am sure you know, I have no magic to offer to you, but there are a number of things I want to suggest to help you work on improving his sleep gradually. I do hope you can ask other family members or friends for some help every once in a while, to give you a break to rest or relax a bit. Even just an hour here and there can help you recharge your batteries and strengthen you to work on your son's sleep troubles. 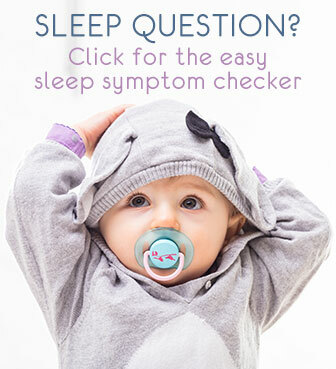 Have you taken him to a pediatrician recently to check if nothing specific is bothering him? Either way, one of the routes I want to suggest is to take him to a pediatric chiropractor or osteopath. If they can track down the cause to a blocked nerve or so, one session can be enough to change things drastically. - A regular sleeping and feeding schedule. Have a fixed night time bedtime, not too late, say around 7-7.30pm. Even if he does not sleep, this is the start of the night. This means being quiet (no yelling or running around) and staying in his bedroom. You can be with him in his room to wind down, or you can allow him to play with some books are toys (but limit the allowed choice). - A simple bedtime routine: announce bedtime, bath, PJs, walk him over to his bed, all the while softly talking, a lullaby and then bed, ..., all exactly the same each night. - Avoid all stimulating foods and drinks: no coffee, no tea, no chocolate, no fizzy sugary drinks, no sugary snacks. It's best to avoid these altogether, but if that's impossible, do not give any of them after 2pm. Make sure no one smokes near him or in a room where he goes to. - When you put him to bed, he stays in bed. If he stays nicely, you will be back to check on him soon. Do not tell him he has to sleep (that is a difficult order) but just be quiet and lie down. If he starts fussing, tell him you will only come back quickly if he is quiet. Act confidently (even if you don't feel confident) and try to stay calm, even if he does not comply at first. Once out of the room, and if he is quiet, wait a minute or so but do go back quite quickly that first time. Tell him the same things, that he's to be quiet and you'll be back. Each time, you stay away a bit longer. - Prepare a sticker reward chart: print a monthly calendar, let him pick his fav stickers at the store. Tell him he will receive a sticker after each good night (good night is quiet night, no obligation to sleep). This whole plan can be very efficient, but you do have to give it some time. The most difficult part will be that he is now so overtired by lack of sleep, that it will be hard to settle. But taking away the stress to sleep and focusing on being quiet (which will eventually result in sleep) may help. If he's a good sleeper in the car or stroller, take him out for drives or long walks regularly for the next week or two, as often as you can. This can help him to catch up and get rid of some of the overtiredness. That will be a big step towards sleeping better again.